Could Trump's top DOJ antitrust pick help seal the Anthem-Cigna deal? 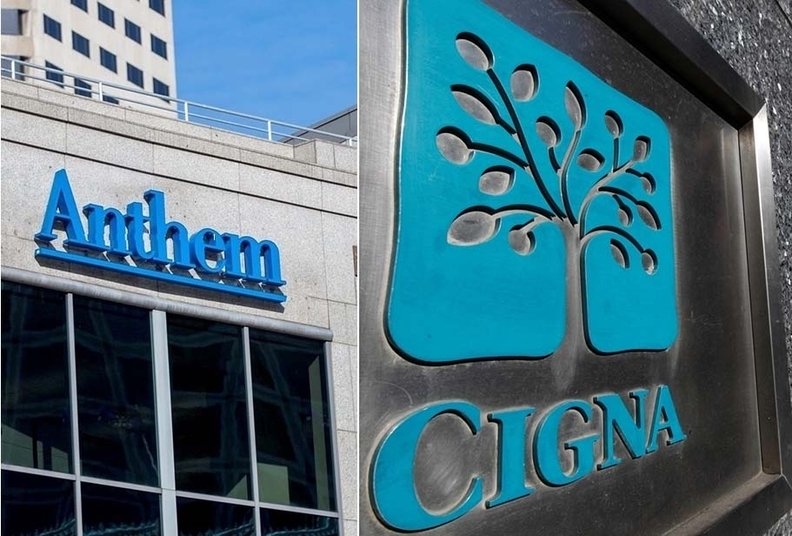 In its quest to merge with Cigna Corp., national insurer Anthem has suffered more than a few setbacks. But just days after defending the $54 billion merger in federal appeals court, Anthem finally got some good news. President Donald Trump said he will nominate former Anthem lobbyist Makan Delrahim to the top post in the Justice Department's antitrust division. The nod to Delrahim could be a boon for the Anthem-Cigna merger, which was blocked by a U.S. District Court judge for threatening to harm competition in the national employer market. Indianapolis-based Anthem has been holding out hope that its beleaguered deal will close under a new U.S. Justice Department led by the Trump administration. Delrahim was recently hired as Trump's deputy assistant and deputy counsel. He's a Justice Department veteran, previously serving as deputy assistant attorney general in the antitrust division from 2003 to 2005. He later went into private practice. One of his clients was Anthem. Last year Delrahim lobbied Congress on behalf of Anthem on antitrust issues related to the Cigna tie-up. If confirmed by the Senate, he will serve as an assistant attorney general of the antitrust division. He will oversee corporate mergers in a federal administration that is expected to be more lenient on antitrust matters than the Obama administration. The Justice Department's antitrust division this year won a preliminary injunction against the Anthem-Cigna merger. Anthem is now arguing its case before the U.S. Court of Appeals for the District of Columbia Circuit. It is still possible the Justice Department could settle with Anthem and greenlight the merger. So far, though, the Justice Department hasn't backed down. In appeals court Friday, Justice Department attorney Scott Westrich argued that the harm to competition would outweigh any cost savings from the merger. Moreover, he said the merger would reduce innovation and quality. At least one lawmaker is already crying foul over Delrahim's appointment. Democratic Ohio Sen. Sherrod Brown, who has protested the Anthem-Cigna deal, told the International Business Times that Delrahim's appointment is a conflict of interest. Matthew Cantor, an antitrust expert and partner at law firm Constantine Cannon, said “it would offend lawyer and government ethical norms” if Delrahim were to be involved in any enforcement actions related to the Anthem-Cigna deal. Cantor expects Delrahim would recuse himself from the proceedings. It is clear that Anthem sees the Trump administration's influence as the merger's path forward. Court transcripts released by the Delaware Court of Chancery last month show as much. There, Anthem's lawyer convinced a judge that the merger stands a chance under the “new DOJ” led by recently appointed Attorney General Jeff Sessions. The lawyer also pointed out that Vice President Mike Pence supported the merger when he was governor of Indiana, suggesting Pence might have a say. Anthem CEO Joseph Swedish also has cozied up to Trump in the past few weeks, throwing his support behind the House Republican's bill to repeal the Affordable Care Act. Trump and HHS Secretary Tom Price even held a private meeting with Swedish to discuss the repeal bill, which was pulled Friday after Republicans failed to secure enough votes.